Take it from another white person “It doesn’t mean that I, as a White person, don’t work hard (I do) or that I haven’t suffered (well, I have known struggle), but simply that I receive help, often unacknowledged assistance, because I am White.” – Jon Greenberg, Everyday Feminism. #TWWOR will show you how to use that privilege to wipe out racism and get our government back. Through practice, awareness and unlearning white people everywhere will forge the tools to conquer racism. Start with awareness. If you don’t know the patterns and behavior of white privilege you can never use it against racism. Practice and unlearning go hand in hand. Question things that could be racist. 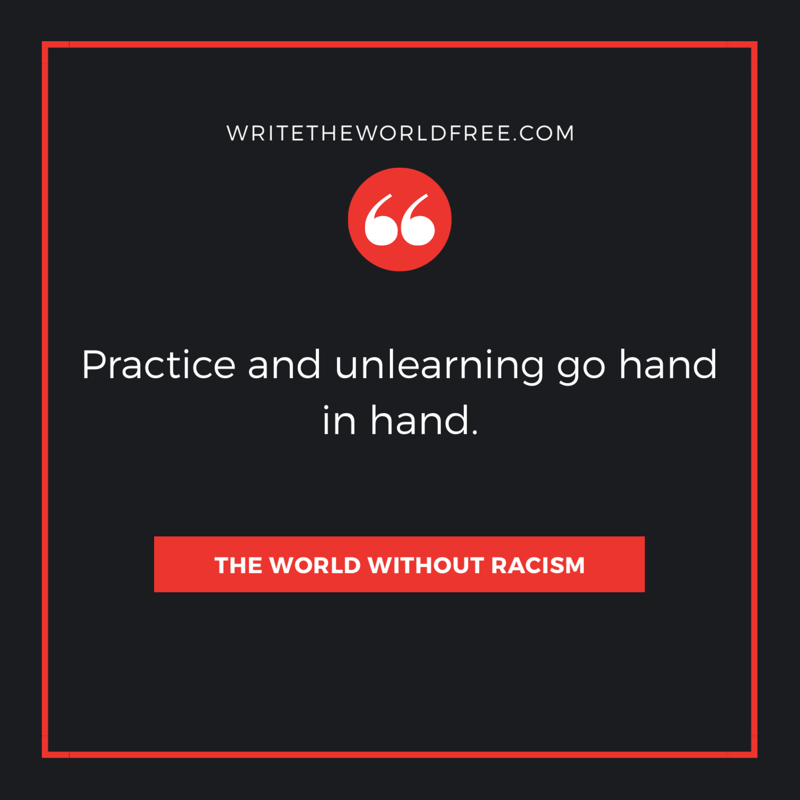 Practice noticing things that could be racist and practice speaking out. Realize that your privilege means people will listen to you when they wouldn’t otherwise. Use those opportunities to fight racism. Most people default to extremely courteous to assist you. Most of the time people are kind and beneficial to you. You get the benefit of the doubt all the time. People assume you have money, education and power. People assume you mean them no harm. People hear you more, give you more space and respect your space more. If you don’t believe me, all you have to do is observe the world around you. You may not notice it at first because you’re so used to it, but if you pay attention to how much listening happens to the people of color around you, then compare it to how much you’re listened to I’m sure you will see the difference. But again, this just means that when you do speak out against Racism people will listen. You can win the battle against racism by observing and calling it out. In most situations where you’re using your power you’ll even get credit for having a really good idea. The whole world benefits from one less racist thing happening. Racism loses a fight and gets weaker. Since it’s not able to reproduce in a situation you shut down, the next time that situation comes up, racism doesn’t replicate.